J.R.R. Tolkien autograph letter signed "J.R.R. 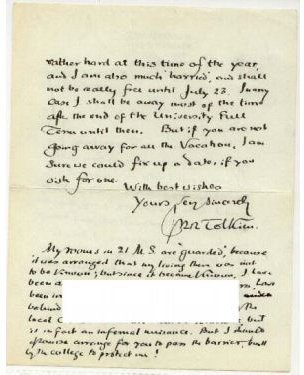 Tolkien" to James A.H. Murray - $14500.00 2 page - letter, Merton College Oxford (on headed paper of 19 Lakeside Road, Dorset), 5 June 1973, headed "Private and confidential"; together with envelope. 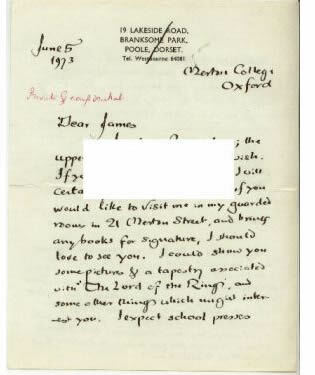 2 page - letter, Merton College Oxford (on headed paper of 19 Lakeside Road, Dorset), 5 June 1973, headed "Private and confidential"; together with envelope. We present a J.R.R. Tolkien autograph letter signed "J.R.R. 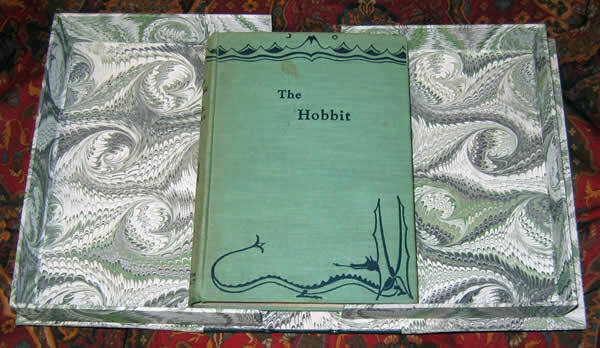 Tolkien'' to James A.H. Murray noting, in part, that "his rooms in Merton Street are guarded " and "he lives under the eye of the local C.I.D.''. 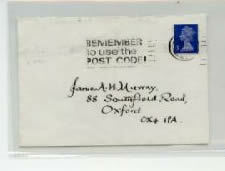 The recipient of this letter was James A.H. Murray, the great-great grandson of Sir James A.H. Murray (1837-1915), the founding editor of the Oxford English Dictionary. 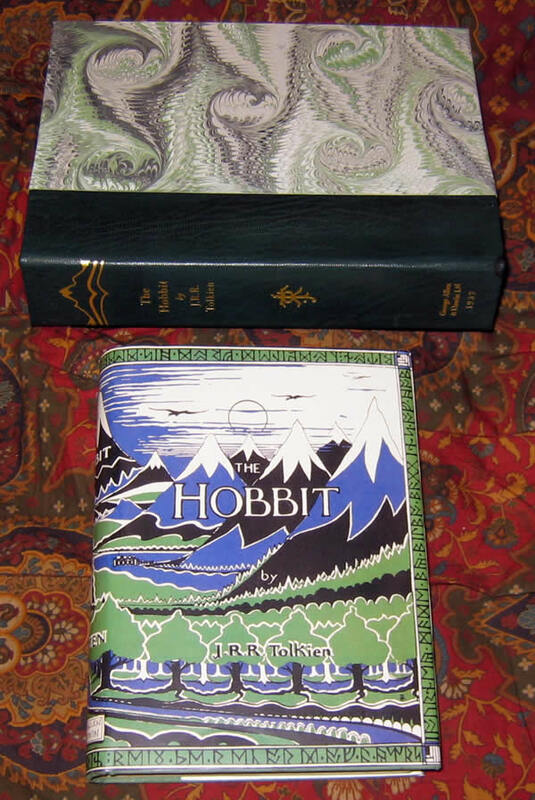 In November 1918 Tolkien joined the staff as an assistant lexicographer and claimed that, during the time he worked on the dictionary, he "learned more... than in any other equal period of my life''. He also met Rosfrith Murray (1884-1973) there who was the fourth daughter of Sir James A.H. Murray and the two became close personal friends. She spent much of her life working for her father on the Dictionary as an assistant. This letter has some real charm if one knows about the writer and his good sense of humor. 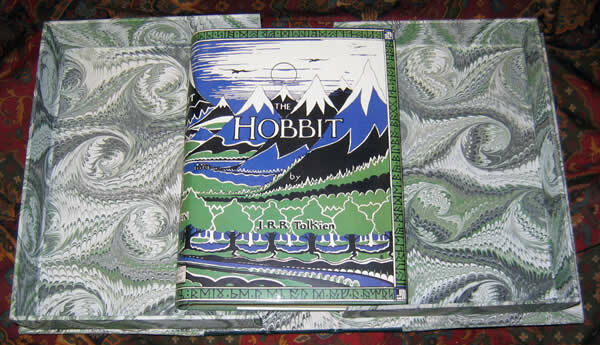 Tolkien was near the end of his life, he died less than three months later. It is one of the last letters he sent. He wouldn't have sent it with such an invitation if he didn't feel a special appreciation to Sir James A.H. Murray and Rosfrith Murray. Letters this late in his life are not usually available.